Prog-Psych fans step right this way. Close your eyes… open your minds… and prepare yourselves for an incredible journey. Bedtime Story are from Tel Aviv, Israel, and their debut CD has just been released on Michael Piper's always excellent Wild Places label. This is one of those albums that conjures up images of magical yet surreal Alice in Wonderland places. The incredible "Little Magic Mushrooms" opens the set, and I can't imagine a more fitting title for this song. It's 60s/70s inspired psychedelia with lots of progressive and folk influences. Beautiful flowing acoustic instruments, sitar, heavenly keyboard landscapes, colorful spacey effects and gorgeous melodies. You'll be swept away like… well… like you were sampling the little magic mushrooms. "Land of the Dreams" is similar in its use of angelic harmonies and heavy cosmic keyboards to make for an exquisite prog-psych blend. "In a Cage" starts off as a fairly straight-forward rocker. But after a couple minutes it transitions to a mystical realm before breaking out into a majestic prog-psych jam, before returning to the main rock theme. The band fit a lot into less than 5 minutes on this one, though I would have liked to hear them flesh it out a bit more. "The Irremovable Mask" is a little different, laying down a deep space electronics and dancy groove foundation for the song, which combined with both ripping psych and atmospheric gliss guitars bears strong resemblance to Porcupine Tree, but with a dash of Ozric Tentacles too. And most powerful of all is "Pearl", which is separated into two chapters that really constitute a single 16 minute piece. And what a magic carpet ride it is. Bedtime Story hooked me from the first moments on this one with the introductory soaring guitar lines and symphonic backdrop. And when it breaks into the main song the band's progressive side comes to the forefront, though we're at all times still deep in psychedelic space. And when they cut loose near the end it's like a psychedelic take on the mid-70s Genesis sound. Passionate vocals, poignant lyrics and stunning arrangements make for a masterful piece that cuts right to the soul. It's mind-expanding, enchanting, and it will take you….. elsewhere. RECOMMENDED. 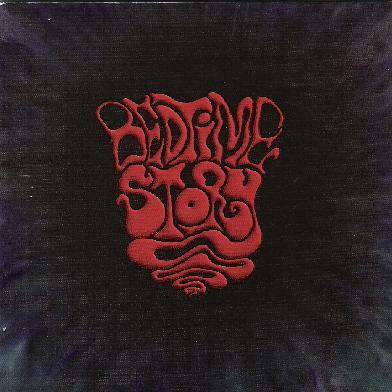 For more information you can visit the Bedtime Story web site at: http://www.bedtimestoryband.com.